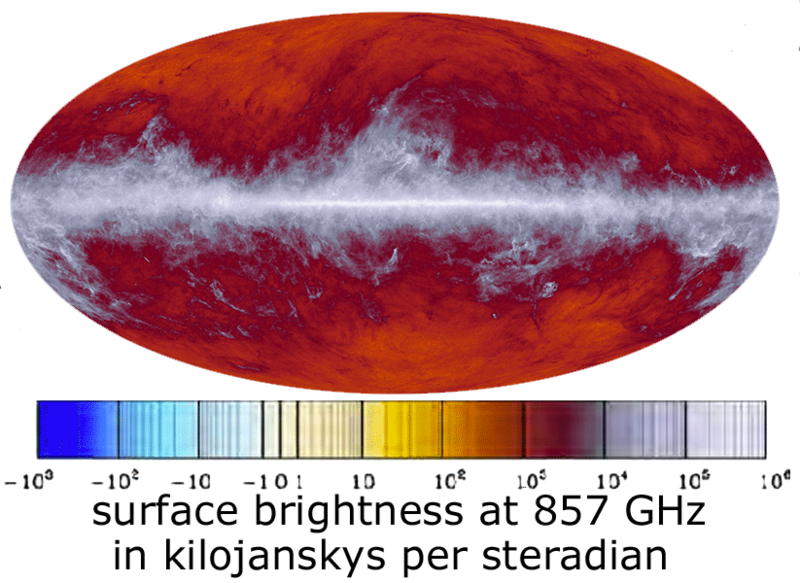 A unit of luminous flux used by radio astronomers in measuring electromagnetic radiation from space. Symbol, Jy (no period). Jansky is also the plural; apparently no one writes “janskies.” One jansky is 10⁻²⁶ watt per square meter per hertz. Image courtesy of National Radio Astronomy Observatory / Associated Universities, Inc. / National Science Foundation. 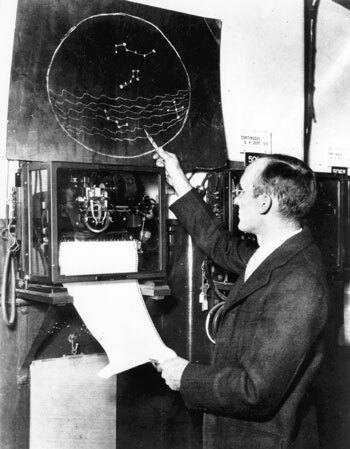 Karl Jansky points out the source of a strong radio signal from the Milky Way. Much later it was discovered to be Cas A, the remnants of a supernova observed in the 1660's. The unit is named for Karl Jansky, the first person to detect radio frequency energy from the Milky Way.¹ The International Astronomical Union adopted the unit in August 1973. Also called a flux unit, abbreviated FU, f.u., or IFU (for international flux unit). Directional status of atmospherics at high frequency. Proceedings of the Institute of Radio Engineers, volume 20, number 12, page 1920 (December 1932). This paper reports detection of the signal, but its source was still unknown. Last revised: 8 April 2014.